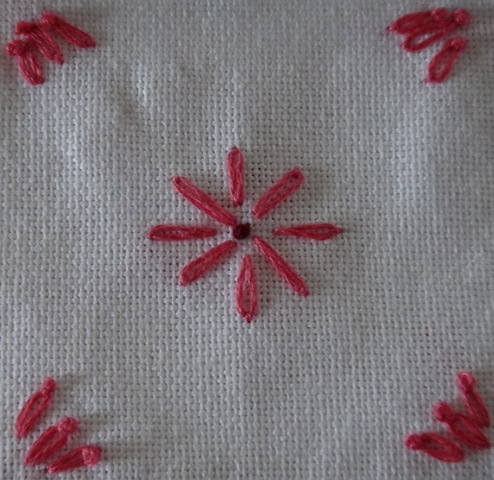 The stitch for week 7 of Take A Stitch Tuesday was Detached Chain Stitch. I added some french knots. On the third quarter of my February Crazy Quilt Journal Project I used the Detached Chain Stitch as well as some French Knots and Chain Stitch. 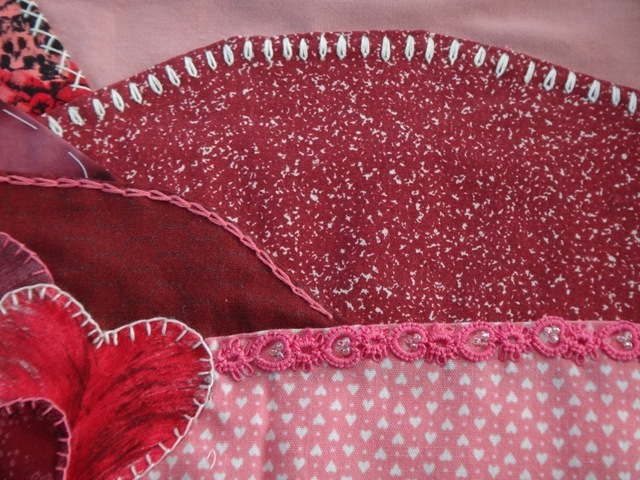 I also appliqued more hearts with the Buttonhole Stitch and added a tatted piece of flowers and hearts with seed beads. One more week and the February Block will be finished! This entry was posted in CQJP, Tatting. Bookmark the permalink.